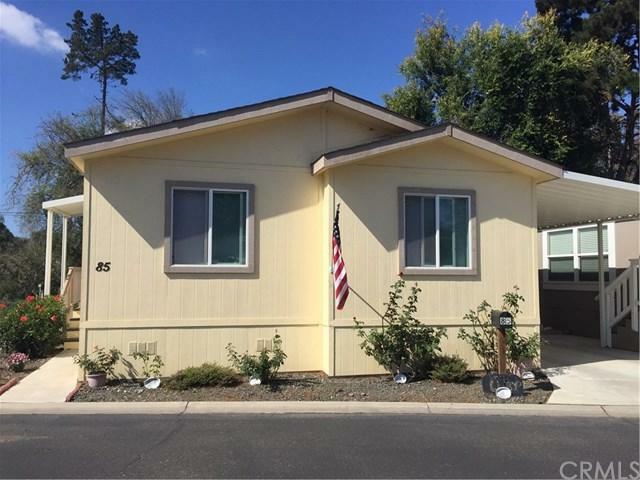 3 bedroom, 2 bath home in Orcutt Ranch 55+ Community with a view of the hills. Built in 2008, this well-maintained home features an open living/dining area and split floor plan. Beautiful oak cabinets, gas stove and breakfast bar in kitchen. Neutral paint and flooring, dual pane windows and indoor utility area with storage. Relax and unwind on the covered deck overlooking the seasonal creek. Low maintenance yard with drip irrigation and fruit trees. All appliances included in sale. Space rent $579/month, plus utilities. Orcutt Ranch is a 55+ Community conveniently located near Old Orcutt shops, restaurants, tasting rooms and more. Come and see for yourself why residents love the rural feel of this community just minutes from town.